I’m the same way. I also like the way Asperger treated his patients better, recognizing their abilities with due respect and saving quite a number of them from nazi eugenics, so I associate the name with a positive understanding. I just want to clarify that *I* don’t use those words but I would never correct an autistic person for however they describe themselves. I just wouldn’t say it about myself of anyone else. In some cases I might explain to a non autistic or neurodiverse audience why I don’t care for those terms (as I did here), but ultimately everyone should use the words they choose for themselves. Thanks for this Erin. Very clear and helpful as always. This is a very good article. It gives a lot of great information. My son is autistic and I don’t use high or low functioning to describe him. Labels don’t tell anything valuable. However, I wish someone would address this within the autism community: It is hypocritical that many autistic people and advocates who are upset by the labeling of autism, in labeling people who are not autistic by calling them neuro-typical. In reality, many people who are not autistic many not be neurologically typical. They may have migraines, ADHD, parkinson’s disease, alzheimers or probably 100 other conditions which are neurological but not typical. Exactly what is typical? I’m not autistic, but I’m not typical, yet it’s an acceptable label to call me that. Assuming that people who aren’t autistic are somehow typical is the opposite of the neurodiversity model. Diversity exists outside of autism.. If we want to end labels, just describe people as autistic or not autistic. A sentence could begin with “When I’m speaking to people who are not autistic…..” rather than “When I’m speaking to NTs……. :” I’m not holding my breath for those who use the term to recognize their double standard. Ruth, you make an excellent point. The word Neurodiversity includes not only autistics and neurotypical people, but also people who are neurodivergent in ways other than autistic – ADHD, dyslexic, depressive, bipolar, etc. And of course people may be “multiply divergent” if they fit into a few of those categories of neurominority. One (maybe both) of the links from neurocosmopolitanism talk about exactly that. As I said, much of the terminology around neurodiversity is misunderstood and misused. There are lots of kinds of neurodivergent people. For what it’s worth, when I refer to neurotypical people I mean neurotypical. Neurotypicality as a social construct is an important concept because it’s the neurotype that essentially rules the world and that’s what I usually point to when it comes to oppression of autistic rights. I personally feel that neurodivergent people have a common aim in being accepted and supported. Thank you. I understand what you’re saying. And it’s a general observation about labeling, rather than one about your article. I don’t know that many people who have no neurological difference. I’ve been diagnosed with an anxiety disorder. And I believe that if I pursued it, I could get a diagnosis of sensory processing disorder and possibly ADD. For personal reasons, I don’t feel the need. I don’t believe there is a “typical”. Rather that there is a range of what people experience.. My good friend who’s dyslexic, another with migraines, relatives with bipolar other and schizophrenia. and the list goes on. Thanks for listing to my rant. 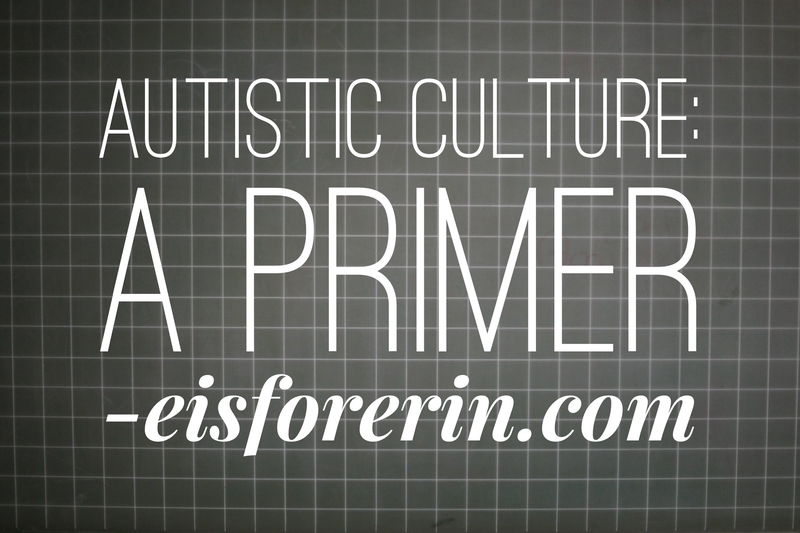 I get frustrated by how it’s often used, to describe the population of people who aren’t autistic. Actually, that’s why we have the term “allistic.” For non-neurotypicals who aren’t on the spectrum. Some people use allistic. I prefer non-autistic and/or otherwise neurodivergent. I don’t love the way allistic makes it sound like they are all-people-oriented while we are self-oriented. I am blind myself and just wanted to say thanks for the educational post. I am creating a disability community website so need to learn more about other disabilities. Thank you for this list of recommendations! As a bookworm, I find exploring cultures through literature to be incredibly helpful. Thanks Kmarie 🙂 Hi there! I struggle with an appropriate replacement for “high-functioning” to describe my child who is not likely to need many supportive services as he gets older, because he is very verbal and communicative, and is not usually perceived as stereotypically autistic. (“He can’t be autistic – look how happy and affectionate he is!” was what his first pediatrician said. I changed doctors.) I know that judging him as having a single level of “function” is problematic, but it’s also awkward to put a whole list of traits into every parenting-related conversation. Is there a more appropriate way to reference the fact that he’s a kid who would have been seen in the past as Asperger’s or HFA, like Asperger’s original “little professors”? This is, obviously, not in the context of judging any autistic person as better or worse, it’s just that sometimes it’s useful to have a shorthand for when I’m dealing with his teachers and other professionals who work with him. Well, here’s a question: would you ever need to use a stereotype such as a functioning label for a non-autistic child? If not, there is no justification for using it for an autistic child. If you had a non-autistic child in school or tutoring or what have you, you would simply describe their strengths and areas of need in simple terms; for example, “Bobby is an accomplished reader and likes to write, but needs extra help in math and struggles with handwriting.” When you talk to other parents, would you find it necessary to give an intellectual or academic profile of a non-autistic child? Would a mom at the park need to know how big a vocabulary they have, when they learned to use a toilet, etc.? It’s only for disabled children that people think these stereotypes are useful, and they really are not. Because as soon as you say “low functioning,” “high functioning,” or even “asperger’s,” you are preloading your listener’s mind with a set of preconceptions and prejudices that may NOT actually describe your child accurately at all. And that is not fair to the child and could actually HURT them and prevent them from getting the proper supports. I would also caution you, as someone who probably “would have been seen in the past as Asperger’s or HFA” myself, it would be wrong for you to assume that your child is “not likely to need many supportive services as he gets older.” In fact, precisely because he seems to be getting by fine now and may be ushered or pushed toward needing less support (this seems to be the goal of schools and therapists much of the time), he could actually be more at risk for not getting the supports he needs when he gets older, and struggling more. All autistic people to some degree experience non-typical executive functioning, sensory processing, and communication processing. As your child gets older he may find that things like time management, taking notes from an oral lecture, prioritizing busy workloads, are all things he wasn’t expected to do when he was younger but suddenly finds difficult. If he is raising believing that because he’s “high functioning” he doesn’t have many differences from neurotypical people, he may fall into the habit of blaming himself as being lazy, not that smart, disorganized, etc for having a hard time doing things that he thinks he “should” easily do as a “high functioning” person. That’s a very common experience for autistic adults. For some autistic kids, too—I’m sixteen now, and at… thirteen, I think, I had rather a great deal of internalized ableism. I thought I was just an almost-neurotypical who had no idea about how *real* struggles worked. I thought… a lot of things, including that all my non-executive-dysfunction autistic traits were just me being bad at life. I thought that I had no *right* to speak from an autistic perspective, because everyone said I was Very High-Functioning, and therefore my struggles didn’t count because obviously it was just me making a big deal about things that didn’t matter all that much. Then an offhand comment by an author/musician on Twitter made me look up “autism speaks bad”—look, I have met nobody with a commonly eloquent Google search*—and I found out that an autistic community exists. I started calling myself autistic—my initial diagnose was “high-functioning Asperger’s,” from a psychologist who spent a lot of time testing my IQ and very little asking me about things like sensory issues or executive dysfunction, and instead had my parents, who were mostly unaware that there was any problem except me *crying* easily, tell him all that stuff. Stars above, I wish they’d retired the Asperger’s diagnosis a few years sooner. The number of times… ugh. I could tell you the story of when my dad (who is *also* on the spectrum, undiagnosed, and very nearly the “Asperger’s stereotype” I run into so often) decided to first go off on a tangent about Temple Grandin for some unknown reason—I can’t remember why the topic got brought up—and then tell me how much “higher-functioning” I was than her. I mean… that’s really a rather rude thing to do to both parties. Thank you. As a parent there is so so much pressure to do ABA. I have read many of these blogs and still I am pressured toward ABA every time I look for other kinds of support for my kid. It really helps to not only read about autistic people’s negative experience but also get involved in and better understand autistic culture to know there is a vibrant alternative to training her to pass as neurotypical. And this is a great resource to pass along to family if they are ever interested.